This cute story, which is more of a novella than an actual novel, tells the story of a young girl named Allison who gets some very special gifts for her sixteenth birthday: a strange ring from her grandfather, a threatening message from a spirit, and a visit from her dead boyfriend. The characters are fun. I often found myself smiling at Allison's inner dialogue, and I enjoyed her relationship with her dead brother and her boyfriend. The fairy element was also a hit. This book definitely is different from the vamp/were stories out there. On the downside, the plot wasn't as developed as I would have liked. At times, the story dragged while at other places, it jumped too quickly. I think the book would have worked better if the author had taken more time with it. Also, although the book was well-proofed overall, there were some significant verb tense errors. 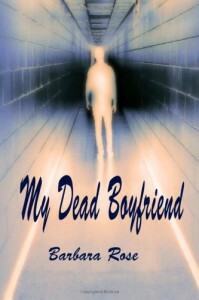 Overall, My Dead Boyfriend is quick, fun read.